Altogether, Mike and Christy Trabun of Dallas, Texas have four sons: Cade, Gage, Shiloh, and Coen. Cade, Shiloh, and Coen were adopted as embryos, and Gage is their biological son. It helped Christy experience what she’d been waiting for for years. “It allowed us to experience pregnancy and have all legal precedence in our favor,” she said. Mike and Melissa Eggleton, also of Dallas, Texas lived the other side of embryo adoption. 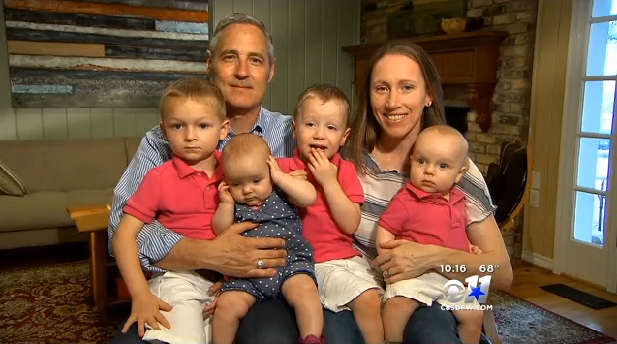 After completing their family, the couple had 14 embryos. They didn’t know what do do with them, but they knew they didn’t want to destroy them. “They may be frozen cells for some people, but for us that is a child,” Melissa explained. The couple went through the Snowflakes Embryo Adoption Program, and donated them to a family in California.